The daughter of sharecroppers, Jane Edna Hunter was a live-in servant in her youth. She would spend the rest of her life improving conditions for other African-American women. In 1911, she founded the Phillis Wheatley Association, a Cleveland settlement house to shelter and support poor, single women who migrated north for work. This organization provided the model for similar organizations nationwide. First trained as a nurse, Jane Edna Hunter continued her education at Baldwin-Wallace College and passed the Ohio bar examination in 1925. 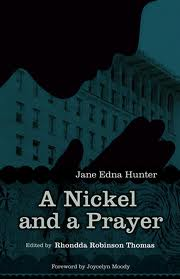 Upon arriving to Cleveland from the South in 1905, Jane Edna Hunter experienced great difficulty finding adequate, inexpensive housing. Her personal experience motivated her to start the Working Girls Home Association to provide housing to young African American women new to Cleveland. In 1911 the Working Girls Home Association’s name was changed to The Phillis Wheatley Association (PWA) in honor of the first published African American poet. The present site of The Phillis Wheatley Association, at East 46th Street and Cedar Avenue , was constructed in 1927.